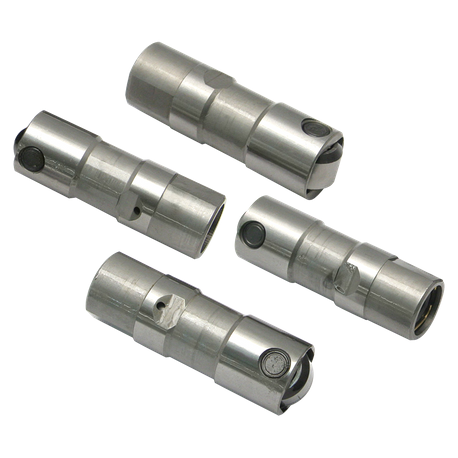 These tappets are a great choice for any stock or high performance application. Only the finest materials and precision machining techniques are used in the manufacture of these lifters, and strict quality control insures that they will work flawlessly every time, no matter what the application. Whether you have a stock 88 incher or the most outrageous big inch engine with a radical cam and spring combination, S&S tappets are built to take it. Sold as a set of 4, HL2T kit not included. I used these on a 95 in road glide with 90K miles .They pumped up immediately and have been quiet for the last 8K miles . I tried these because they were half the price of the premium and was not disappointed.